Consultant addresses plan sponsor misconceptions about pension cash-outs in new report. 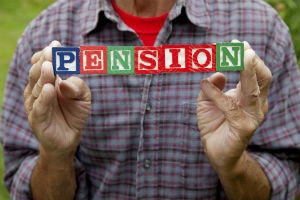 Defined benefit pension plan sponsors have been offering terminated vested participants lump-sum pension cash-outs since 2012, and this trend is likely to accelerate this year, according to Mercer, a global consulting firm. Mercer this week published a guide to help plan sponsors evaluate whether to consider a cash-out program, including misconceptions about cash outs and the firm’s recommendations. McDaniel noted that these programs also tend to be popular with eligible participants. “Take-up rates for an effectively executed lump sum exercise can be upward of 50%,” he said in a statement. According to Mercer, some plan sponsors for whom a cash-out might be appealing are waiting on the sidelines, hesitant because of concerns that can in fact be addressed. Mercer’s report identifies several misconceptions, and outlines how they may be addressed to allow for a successful risk transfer project. One major misconception is that interest rates are currently too low. Mercer said that waiting for a hike in interest rates to take action was a bet on the direction of interest rates. The report lays out more efficient ways to achieve a profit from an expected rise in interest rates. Another misconception of hesitant plan sponsors is that paying lump sums will trigger a P&L settlement charge and affect their share price. Mercer said sponsors that want to avoid settlement accounting could structure the lump-sum program to do so. Plan sponsors also don’t want their employees to squander their pensions. In fact, Mercer said, its experience showed that more than 80% of lump sums larger than $50,000 were rolled over into an IRA or other tax-qualified vehicle. Although participants may lose the longevity protection of an annuity benefit, a lump sum payment still provides them with the flexibility to make individualized decisions based on their financial goals and preferences, Mercer said. Moreover, a lump-sum program is voluntary, and participants who prefer the security of a lifetime annuity can keep it.